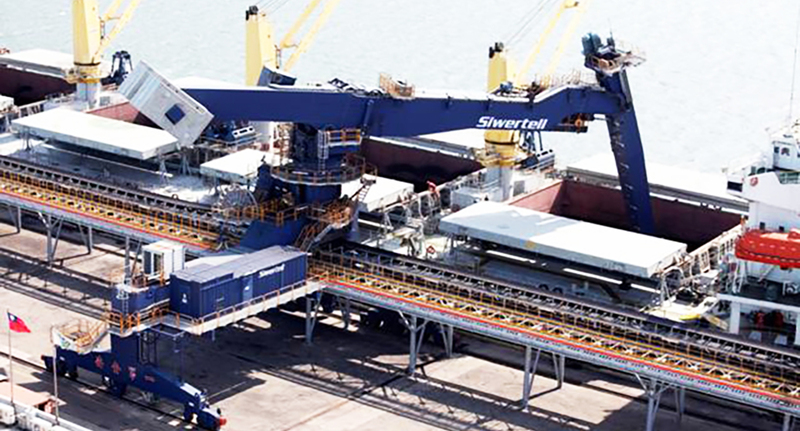 The coal handling capabilities of Taichung Port’s coal storage and transfer centre have been improved by high efficiency unloading delivered by a Siwertell unloader; plans are in place for a larger unit to meet changing customer requirements. Siwertell has delivered an ST-790-D screw-type ship unloader to Ancora Harbor Service Co. Ltd, a specialist coal storage and transfer centre that serves the central Taiwan region by providing coal unloading, storage and truck loading services. Rated at 2,000t/h, the unit is operated via radio remote control. 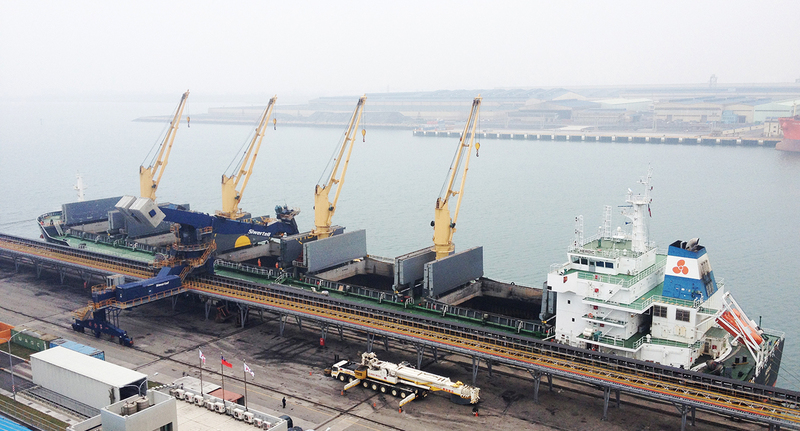 Ancora Harbor Service Co. Ltd unloads six million tonnes of coal in Taichung Port every year. This is in addition to coal handled independently by the Taiwan Power Company. Siwertell units deliver high efficiency unloading at multiple ports worldwide, including other Taiwanese ports at Mailiao and Taipei. 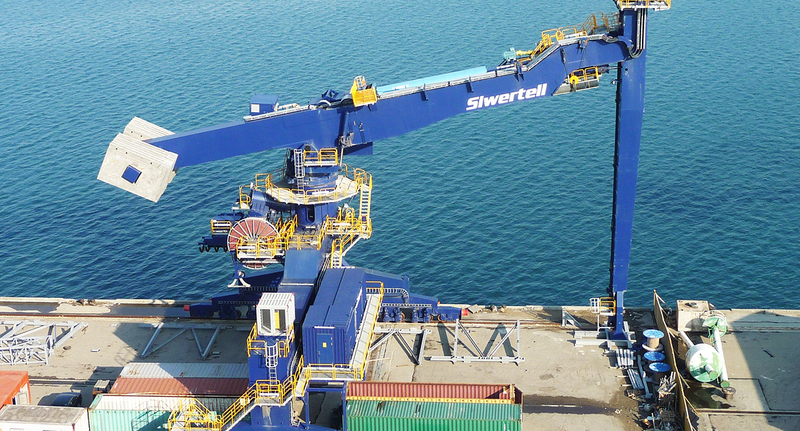 Their proven performance in these ports was a significant factor in Ancora’s decision to buy a Siwertell unloader for its Taichung operations. In addition to this proven performance, other key reasons for choosing a Siwertell unloader were its high unloading capacity, reliability, safety, ease of maintenance and excellent environmental credentials. Since commencing operations, the unloader unit has demonstrated its high unloading efficiency. The company notes that the unloader is easy to operate and maintain, and says it values Siwertell’s rapid and complete after sales service. The unloader is designed to handle Panamax vessels of up to 70,000 dwt.